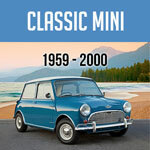 Keep your precious Mini in its best working condition by being sure to properly maintain its oil and oil filter. 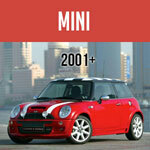 Here at Mini Mania we carry a wide selection of oil filters and oil change parts. Browse our oil filter and oil selection below. Questions? Call us at 1-800-946-2642 or email us here and we will happily assist you! For other oil change related parts including gaskets, hoses and dipsticks please click here.